CHICAGO — Around the globe, one million plastic bottles are used every single minute, and 70% or more will end up in landfills and oceans. Awareness of our planet’s plastic pollution problem is gaining momentum. People care, and they want a better option. Green Sheep Water, the first company to serve water in 100% recyclable aluminum bottles, was founded with the purpose of providing a more sustainable alternative to plastic bottled water. 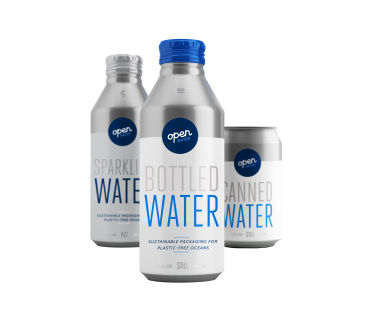 Now, in an effort to better link their clean ocean mission to their name, the company is rebranding as Open Water.